I have received more than a few emails or comments through the contact page from people asking why I don’t mention new Blythe releases or show the photos here on BlytheLife.com. 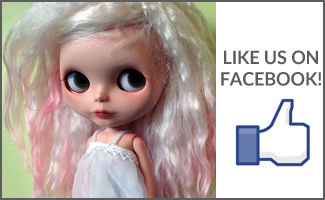 I’m sure it seems like a pretty standard thing to do, a new Blythe is released and this is a Blythe fansite, so why don’t I include the information about it? There are a lot of different places that you can get informed about new Blythe releases that include, and are not limited to: Flickr, other blogs, the official Blythe website (in Japanese and English), on Blythe forums and even Twitter (depending on who you’re following). 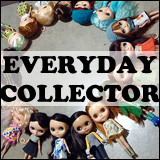 I made the decision when I started BlytheLife.com to do everything by the book. That is, if you look at the very, very bottom of the page, I’m try my best to respect the copyright and trademarks regarding Blythe when it comes to Hasbro, Cross World Connections Ltd. and Takara-Tomy. I did try contacting Takara-Tomy over getting written permission to post the promotional photos of new (and old) releases on this website and since asking them (in July 2010), I have not received permission to do so and thus I have decided not to do that. All photography used on BlytheLife.com is with the permission of the owners of the photos. All photos used in articles and interviews are used with permission (for all interviews, the person that I am feature is responsible for gathering photos and seeking permission from the photographers). If I were to copy the promotional photos from the official Blythe website, that wouldn’t be doing what I set out to do, nor would copying and pasting the information regarding the new releases. 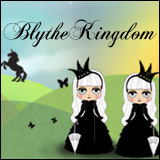 If you are interested in finding out information regarding new releases, you can find the official news at blythedoll.com. Thanks Brigitte. 🙂 I try my best, I’ve gotten more interested in niche blogging since before I started BlytheLife.com and heard horror stories about how fan sites get closed down because of using promotional materials without written permission, or people who used stock images but didn’t closely read the usage terms and conditions and I’m not about to put my time and energy into a project like this only to have it be closed down due to copyright or trademark infringements.